Port Melbourne used to be known as an industrial area, but it is quickly becoming an urban and social haven for the fashionable residents. 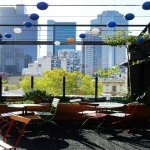 This suburb truly has it all when you consider the industry, the great historical significance, parks, conference venues, beaches and a booming community that has encouraged stylish restaurants and cafes to set up shop. 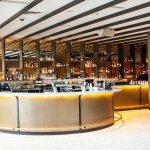 The mix of modern themes, aging industry and the beach create an atmosphere that enables these Port Melbourne function venues to thrive. This is the perfect area for those that want to have the accessibility to a variety of venues while also always having the beauty of the ocean nearby. 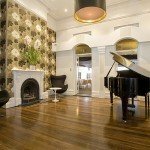 This combination of a relaxed atmosphere and chic style is what dictates the overall design of the events venues throughout Port Melbourne. 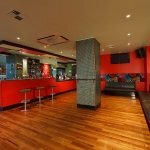 To sum up the venue options in the area, you should consider these three venue styles: 1. 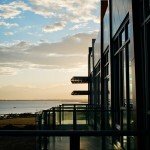 As Port Melbourne is by the ocean it should come as no surprise that there are plenty of venues overlooking the water. This includes high-end yacht clubs that provide a venue that has the beaches, the boats and the water in perfect harmony for any special occasion. 2. Luxurious hotels by the coast often have ballrooms and banquet halls that are perfect for weddings or larger celebrations with family and friends. 3. 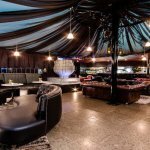 Intimate and stylish lounges dot the area and provide a unique place for those that want to have a more casual event. 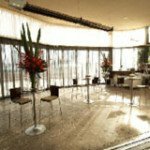 The variety provided by these three kinds of venue means that residents of the area and of Melbourne can celebrate any occasion by the sea at a venue that perfectly suits their event. 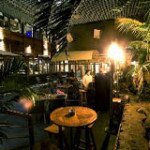 With outdoor decks at most of these venues you can also create an event with different spaces for guests to enjoy. 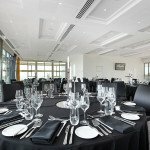 This fashionable area will provide an accommodating venue space for a wide range of events.